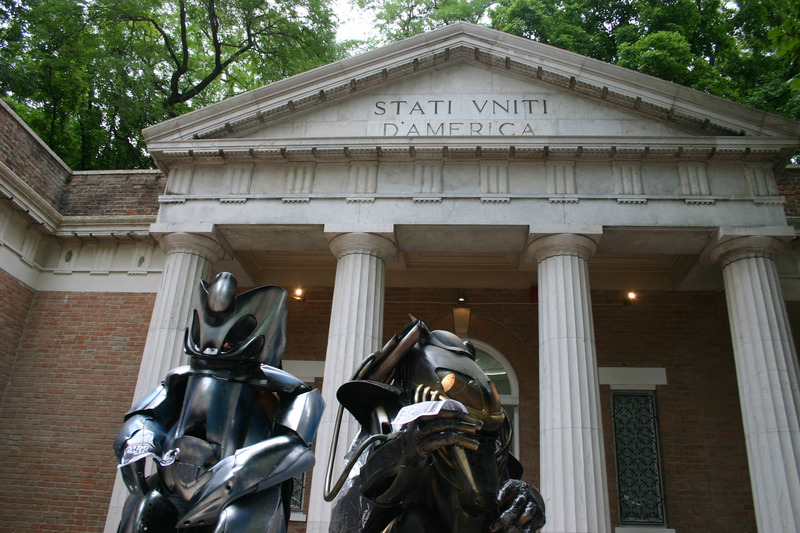 Day 3: During our visit to the American Pavilion, an attack was staged by renegade insurgents from the Mars Pavilion. 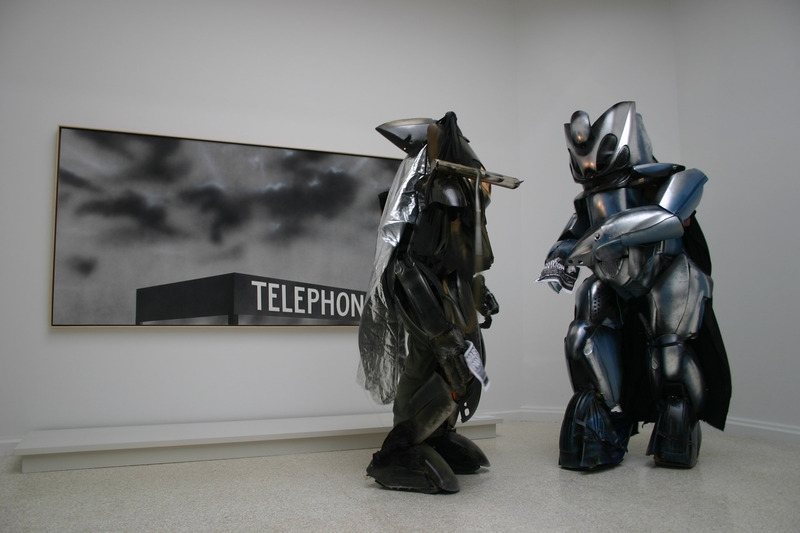 The event occurred while we were conducting our Situational Tour of the “official” opening day of the Venice Biennale. Two insurgents invaded the American Pavilion in the wake of anti-American sentiment that was apparently inflamed by Ed Ruscha’s exhibition, “Course of Empire.” After penetrating the Pavilion, with its Jeffersonian symmetrical, neo-classic architecture, they took time in front of one of Ruscha’s paintings to question the artist’s depiction of the deterioration of urban landscapes. At last, we have found the Biennale!